► Does the Bose audio tech work well? Premium audio brands have been shoehorning music systems into cars for decades. Generally high-end cars, and usually the audio upgrade comes at a stiff price. 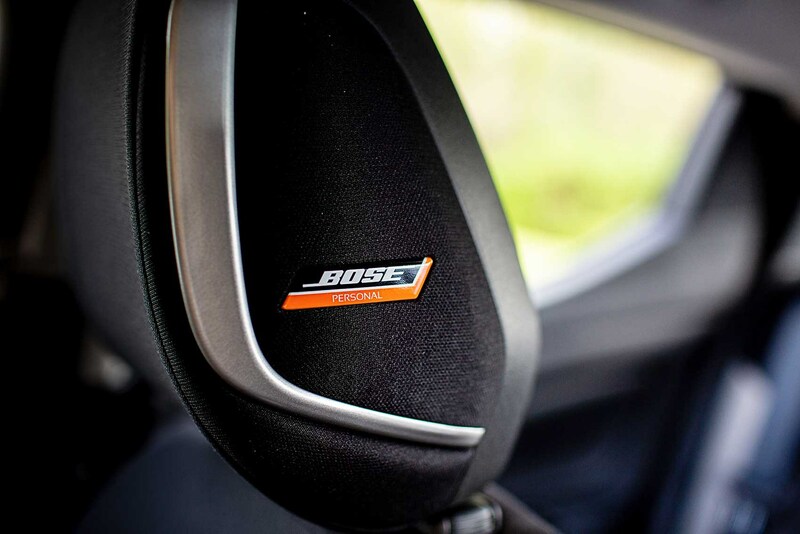 But here’s a fresh departure from one of those familiar in-car audio brands, Bose. 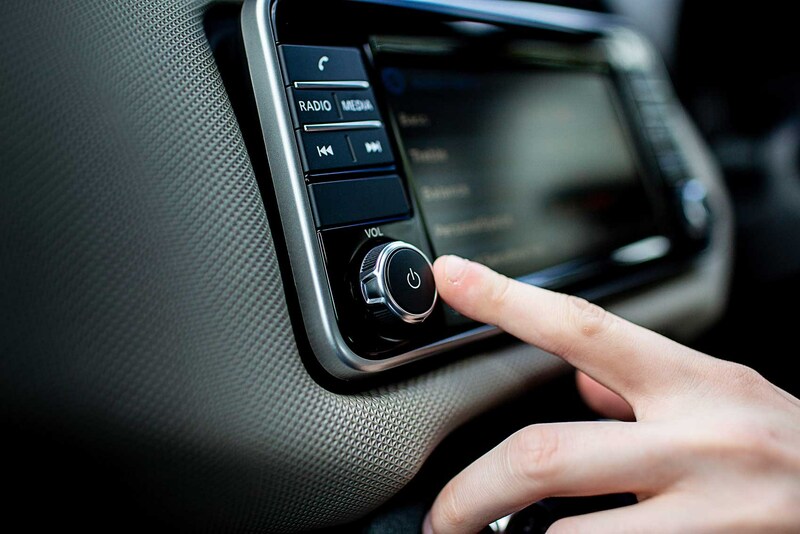 In a bid to further the Micra’s appeal to those elusive hip young car buyers, Nissan has linked with Bose to offer PersonalSpace, an audio system that features speakers in the headrest. It’s not the first system to have headrest speakers, and the Micra is not the only car to have PersonalSpace, but it is the most affordable. 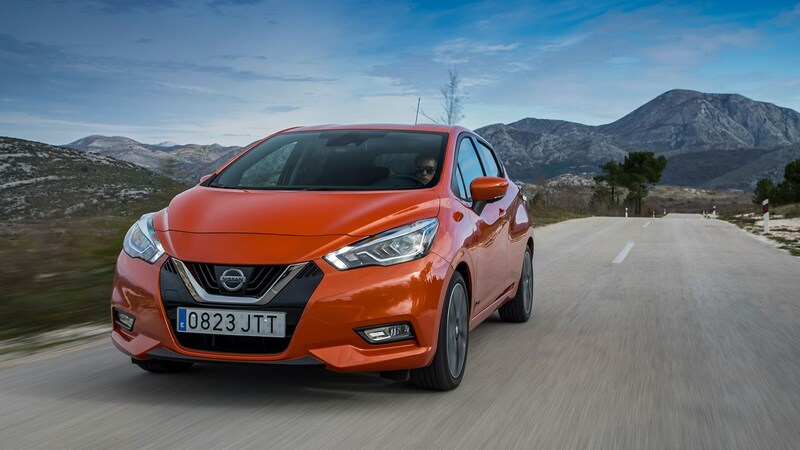 For the Micra, the system consists of an amplifier under the driver’s seat, wide-range speakers in the front doors, tweeters in the dashboard and two UltraNearField speakers in the driver’s headrest. The kit is a £500 option on Visia, Acenta and N-Connecta Micra trims and standard on the fully loaded Tekna version. 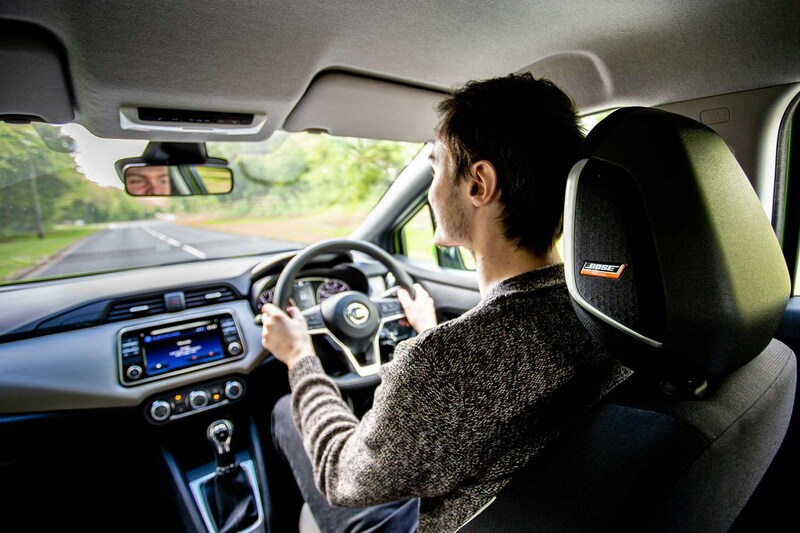 The headrest-mounted speakers are always on but aren’t loud, as they’re designed to enhance the audio system rather than render the rest of it redundant. 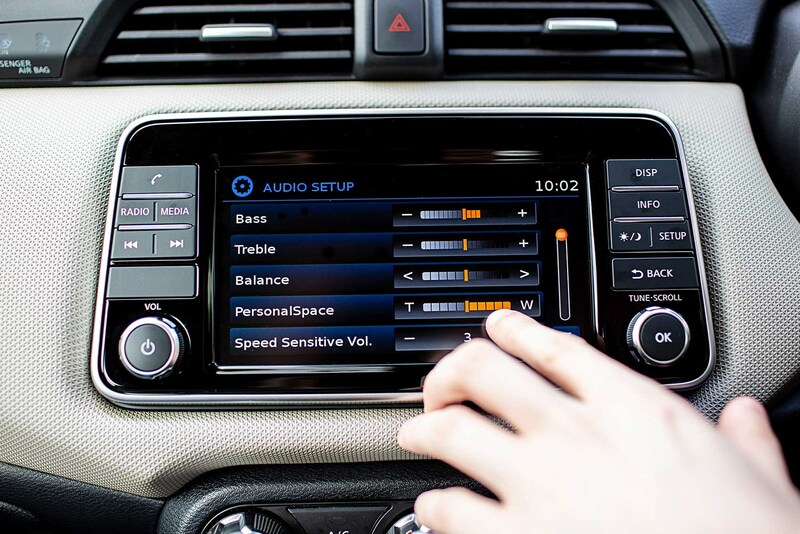 You can adjust the sound bias via the infotainment screen, pushing the sound forward or leaning more heavily on the headrest speakers for 360º sound. We tested the system using music from a bunch of genres: Camilla Cabello’s Havana (pop), NWA’s Straight Outta Compton (hip hop), Toto’s Hold the Line, Heart’s Alone and Papa Roach’s Last Resort (rock), Alesso’s Falling (house) and Blue Monday by New Order (techno). Wicked Game from Ursine Vulpine and Hello by Adele were drafted in to tick the big ballad box. If you amplify the headrest speakers to their maximum, your involvement in the music is like little else we’ve experienced, as they bring out certain elements you might miss listening to it normally. The piano solos in our ’80s rock tunes were crisper and clearer, almost as if there’s someone tinkling the ivories in the back seat, and the highlights from our house track were brought out by the UltraNearField speakers while the larger in-door speakers handled the thumping bass. The pop, rap and rock tracks were all made clearer and more involving. But the biggest difference came from the ballads. Hello and Wicked Game are fairly epic to start with, but you really feel swept up by these tracks while bumbling around in your Nissan. Yes. Across the board, regardless of music genre, it’s a much more involving audio experience. Some music became simply clearer, but for others it can also bring out details and indeed entire dimensions you may have missed in the past. We hope this soon spreads to many more cars.